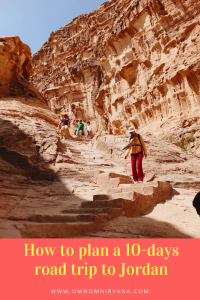 I planned and took this 10-days road trip to Jordan, discovering at a slow pace, the entire country. 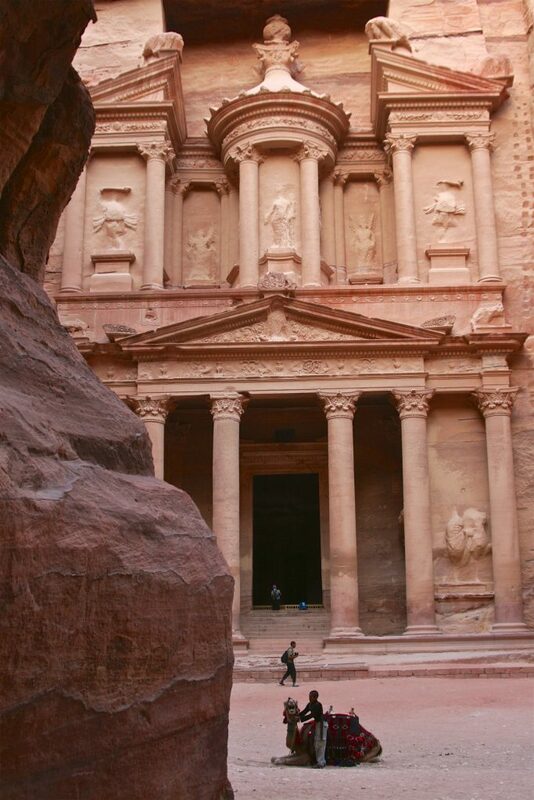 When talking about Jordan, people often think of Petra, one of the Seven Wonders in the world. This fascinating city, built among the rocks by Nabataeans in the 4th century BC, is along with Wadi Rum, the desert where the British officer Lawrence of Arabia spent several years and is considered the best-known destination of this Middle Eastern country. However, a 10-days road trip to Jordan will lead every visitor to discover unexpected, beautiful places rich in history and art. Start your 10-days road trip to Jordan by heading close to the Syrian border visiting the abandoned city of Umm el-Jimal. Set in the middle of a black desert, here you can admire many very well preserved ruins with their original ceilings still in place. From here keeping moving into the black basalt desert, discovering the famous Desert Castles. These former fortifications and guests’ houses were built during the Umayyads period (661-750 AC). The best know castle is Qasr al Azraq where Lawrence of Arabia stayed during WWI. Don’t miss a stop to Quseir Amra, a stunning bath complex and lodge with intact frescoes dating to back to the 8th century. Because of the high artistic value of these decorations, Amra is in the UNESCO World Heritage site list. From here, drive to Qasr Kharana whose original function it is still debated. You will notice far in the desert its austere architecture. After a desert castle tour, spend your second day discovering the capital of Jordan, Amman. 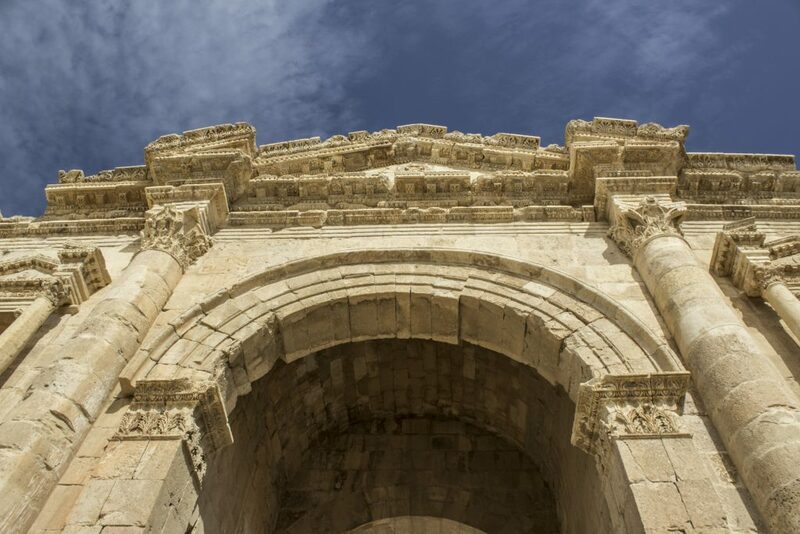 Start your day heading to the highest and oldest part of the city, the Citadel with the Temple of Hercules, the Umayyad Palace, and the Archeological Museum. Then head down and visit the new Jordan Museum and the archaeological area with the Roman Theatre and the Nymphaeum. In the afternoon drive to Qasr-el-Abd, a splendid Hellenistic palace in the countryside, 10 miles (17 km) west of Amman. Dedicate your third day in Jordan discovering two of the better-preserved Roman cities outside Rome. Start your tour from Umm Qais or Gadara. Here you will impress by the black theatre and the two Byzantine bath complexes. Do not miss to see the panoramic view over the Sea of Galilee. Your next stop will be Jerash, with its stunning oval plaza and breathtaking staircase leading to Artemis’ temple. Jerash is also home of more than 15 Christian churches with enchanting mosaics still on place. Dedicate your fourth day discovering Jordan Biblical places. Along the Kings’ Highway, climb to the Fortress of Machaerus, where the dance of Salome took place, and Saint John the Baptist was beheaded. Then head to Madaba, also known as “city of mosaics” and do not miss to see Mosaic Map of Jerusalem and the Byzantine Church of the Virgin. Finish your tour visiting Mount Nebo, the place where God showed to Moses the Promised Land and the prophet was buried. Start your fifth day in Jordan visiting the Biblical city of Kastron Mefaa, now known as Umm Ar-Rasas. Here explore the UNESCO World Heritage Site of the church of Saint Stephen to admire the largest mosaic in the country. Proceed with your trip, discovering the Crusades Castles of Kerak and Shobak. Here took places the battles between crusaders and Saladin and its soldiers during the 12th century. Allow two full days to discover Petra and the archaeological sites it has. Walk through the gorge that leads to the Treasure and stroll around the theatre and the Street of Facades, lined by tombs on the cliff. Proceed on the Colonnade Street up to El Deir or the Monastery. From here, climb a little further to see the Dead Sea and the top of Mount Hor with Aaron’s (Moses’ brother) Tomb are visible. On your way down explore the temple of Dushares, the Great Temple, the Temple of Winged Lions, and the Byzantine church. On your second day visit the left-sided area of Petra. Climb up to the High Place of Sacrifice and descending discover all the enchanting sites: the Lion Monument, the Garden Tomb, the Roman Soldier’s Tomb, and the Garden Triclinium. Finish your day visiting the Museum and the Byzantine Church. Finish your second day exploring the 10 minutes drive away from Little Petra. In this village, you will discover how people used to live. The Painted House still preserves a ceiling decoration. 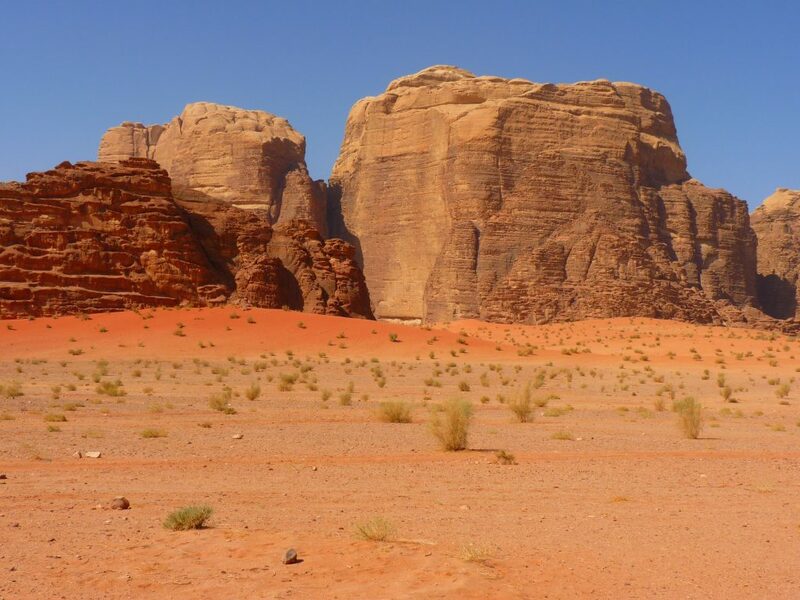 Dedicate at least one day to explore the Wadi Rum, a desert with prehistoric graffiti, Nabataean ruins, and canyons. Among the best-known spots, there are Lawrence’s Spring, a water’s source, and Alameleh inscriptions depicting animals and hunters. These are particularly beautiful at the Khazali siq, and close to the Seven Pillars of Wisdom. It might seem touristic but floating/bobbing on the salty waters of the Dead Sea is a kind of life experience you should try before leaving Jordan. Make sure to avoid entering the water if you have skin cuts as it might be painful given the high concentration of salt in these waters. For the same reason avoid water around your eyes and take a shower after 10 minutes in the sea. From here, drive to the Baptismal Site of Jesus Christ in Bethany. 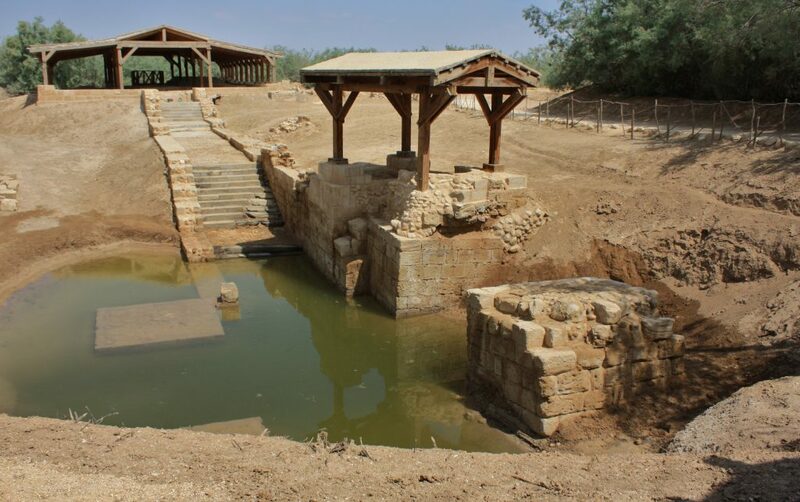 Along the Jordan River, and at the border with the State of Israel, this small settlement was a pilgrimage’ destination since the 4th century. End your 10 days road trip along the beautiful Jordan, relaxing in the enchanting beach resort of Aqaba. Spend your day splashing and snorkelling on the Red Sea, swimming at the borders with Egypt and Israel. You can easily rent a car at Amman Airport as all the major car rentals companies have their office there. Depending on the agencies, you can hire a car or even a vehicle with a driver. This latest option is particularly indicated for those who are not confident at driving in a country where not always the road rules are respected. Overall, Jordan is a safe country and driving is safe as well. To rent a car you must be at least 25 years old (but the age may vary by the car hire category) and have held your driving license for one year. Driving in Jordan is on the right-hand side of the road and seatbelts are mandatory. When driving carry at all times a valid driver’s licence, registration documents, and insurance documents, along with your passport as police checks are frequent. While in Amman you will have no shortage of petrol station, in southern Jordan you may struggle to find one. So when you do spot one, fill up your tank! Overall, Jordan is a safe country and driving is safe as well. This guest post has been written by Federica Provolenti of A Stroll around the World. Catch up with her adventures on Facebook & Instagram.